Make this resin mirror fiberglass vase the center of attraction in your living room by keeping it on the center table. 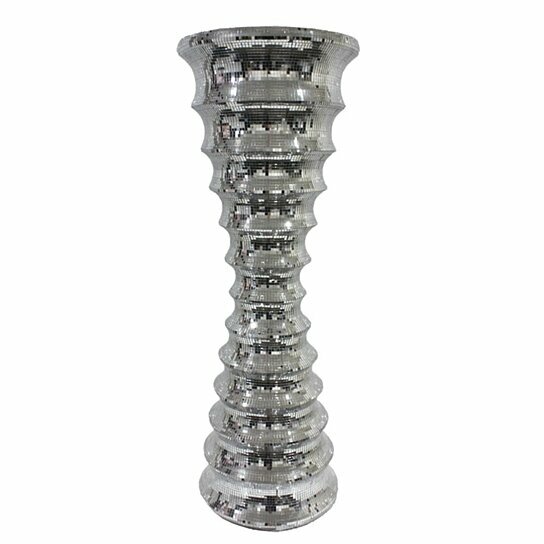 This vase is in silver with mirrors all over which give it a shiny look. This vase can be kept along with another vase or alone. Either ways it will not go unattended by friends and other guests visiting. Keep it alone in the entryway and nothing can stop it from becoming the focal point. Smart filler for any empty corner, close ones paying you a visit will instantly fall in love with this vase.